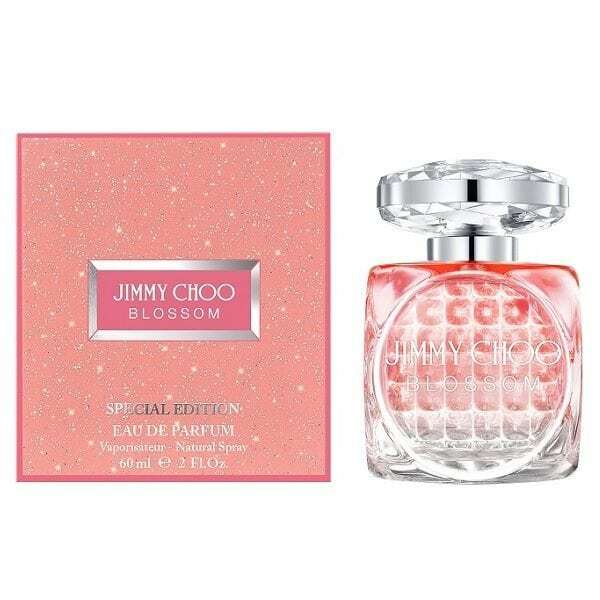 Jimmy Choo Blossom Special Edition Eau de Parfum takes note of the bright colours and delicious scents that begin to emerge after the long winter months. This women’s perfume opens with a sweet accord of exotic fruits, the new fragrance is given a sparkling edge with its heart of frangipani flower. The scent mellows to a sensual base of sandalwood, offering up a simultaneous evocation of sophistication and warmth. Available to buy in 2 sizes of Eau de Parfum spray for women – 40ml and 60ml.